We’re delighted to announce that sk8loc8 and The Skateparks Project have joined forces to create the largest and most detailed directory of skateparks in the UK. Over the past 7 years, Guy Harwood has spent much of his spare time building and maintaining sk8loc8. 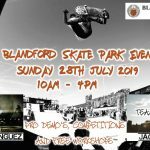 He has recorded thousands of skateparks across the world including contributions from skaters, turning sk8loc8 into one of the UK’s most popular skate resources. Meanwhile, Alex Jordan and The Skateparks Project team have been developing skateparks.co.uk as the UK’s most detailed skatepark directory, with geo-location technologies to make it even easier for skaters to discover new skateparks around them. Guy has been looking to contribute the Sk8loc8 data to a project that will provide the best service to the skate scene, and feels that The Skateparks Project is the right way forward. 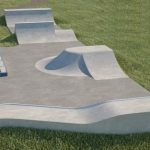 Alex and Guy are therefore very excited by this move to pool resources that will see sk8loc8.com merge with skateparks.co.uk. 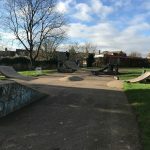 Combining the data will undoubtedly create the largest, most up-to-date and most detailed archive of UK skateparks in the world. 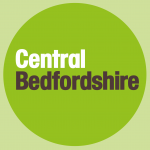 You may have already noticed some new parks appearing on The Skateparks Project. Over the coming weeks we’ll finish integrating data from Sk8loc8 including roughly 300 new parks and over 1,300 new photos, before redirecting the sk8loc8 website to The Skateparks Project. Privacy is important and therefore we have agreed not to migrate any sk8loc8 user account data, but we do plan to introduce user accounts and lots of new features to The Skateparks Project throughout 2017. We’re incredibly grateful for the effort Guy has put in over the past 7 years and welcome him as a new member of The Skatepark Project family.